Not a lot of work got done on the layout in 2016 as we were gone from home a lot. I spent some time building reefers and adding some Southern Pacific boxcars to add to the fleet. 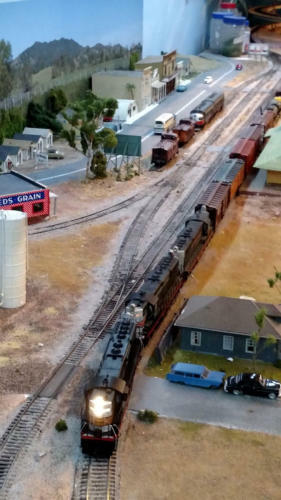 I also did some electrical work and a few small projects to improve the scenery. Here are a few pictures. 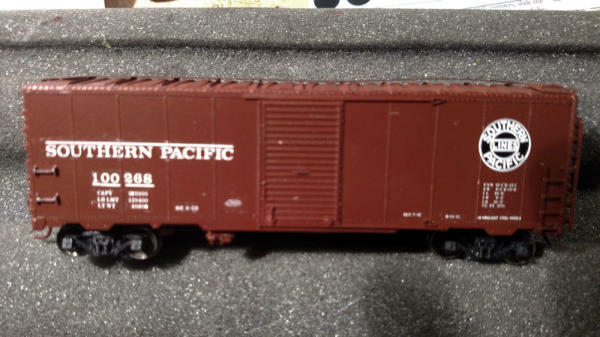 This box car had something on it that needed to be corrected for my era but when I tried to remove the lettering I also took of the brown paint. So, I ended up stripping the whole car, repainting it and then adding decals. Most of the lights in the buildings one layout are 1.5 volt bulbs. Radio Shack used to sell 120 AC to 1.5 DC converters but not any more. I had so many 1.5 volt lights that I couldn’t turn them all on and maintain their light level. It was a small scale brown out. Then I found these on eBay. I put in some DC voltage and I can choose my output. 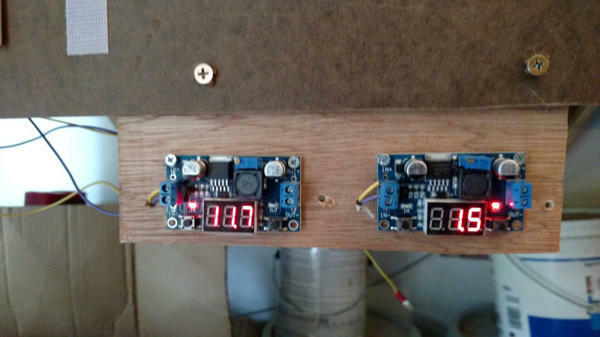 Since I need 12 volts (more or less) to run switch machines and the LED lights over the layout, I have taken 2 computer power supplies and use them to provide all the 12 volt power I need. Then I use these to convert to 1.5 volts for lights, 3 volts for some special lights and a third circuit to power the oil field pump. A nice shot of Santa Margarita. The engine was a new addition to the layout.